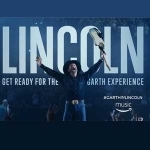 Garth Brooks’ World Tour with Trisha Yearwood stops at Pinnacle Bank Arena. This will be the last Nebraska, Iowa, and Kansas appearance of The Garth Brooks World Tour and the first time in Lincoln in 21 years! The cornerstone of Lincoln's $344 million West Haymarket Redevelopment Project, Pinnacle Bank Arena is carrying Lincoln into the future. With its combination of concrete and metal panel facade, spectacular open-air roof deck, contemporary glass-encased entrance and concourse offering picturesque views of the State Capitol, Pinnacle Bank Arena is an architectural embodiment of aesthetics and modernity. Encompassing 470,400 square feet and costing $179 million, the state-of-the-art multi-purpose arena offers year-round entertainment, including concerts, family shows, touring acts and sporting events.